Congratulations to tour winner Mary P. and to host winner Harlie's Books. 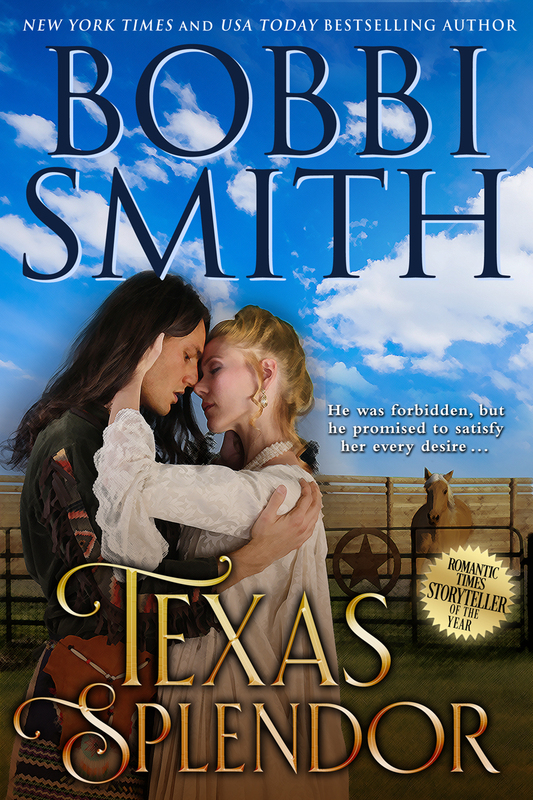 Goddess Fish Promotions is organizing a Virtual Blurb Blitz Tour for Texas Splendor by Bobbi Smith, an Historical Romance available now. The tour will run February 11, 2019 to March 8, 2019, and this tour will not include interviews or guest blogs; however, a blurb, excerpt and author bio will be provided to every host for inclusion on their blog. No reviews requested for this tour. Bobbi Smith will be awarding a $10 Amazon or B/N GC to a randomly drawn winner via rafflecopter during the tour, and a $10 Amazon or B/N GC to a randomly drawn host.